Our new season has begun. 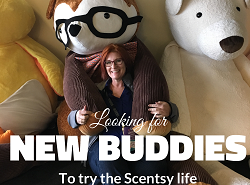 March 1 – August 31, 2019 is our Spring and Summer season at Scentsy. Be sure to look around www.IncomeWax.com to find out what’s new and exciting. We have new wickless candle warmers, new diffusers, new scented candle wax, new essential and natural oils, and new products for kids, for your body, for your home and for your laundry. Shown below is one of my favorite new items out of the United States Scentsy Spring Summer 2019 catalog: The ENRICH DIFFUSER. If you already have the base you can get just the Enrich diffuser shade only. The shades are all interchangeable. Or get an complete Enrich diffuser system with the base, lights, and shade. Show on the website without any light behind it. But as shown in the flyer, you can see what it looks like with the rotating LED lights behind it. Be sure to check out our full line of diffusers and essential and natural oils here. February Special: Buy any Scentsy diffuser at 10% OFF. Bundle it with 3 FREE OILS! See choices at IncomeWax.com. Learn more about our fabulous Scentsy oils; you might be surprised by information you may have heard about other company oils. No. The FDA does not approve or recommend ingesting or topically applying any essential oil offered by any company. 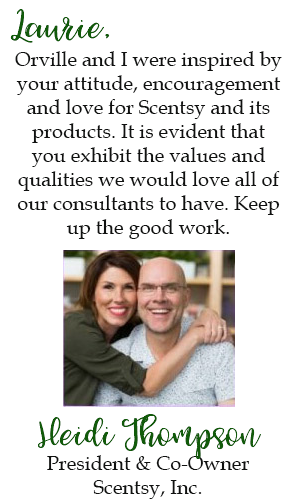 Though many essential oils are on the FDA Generally Recognized as Safe (GRAS) list and all Scentsy Oils are safe and meet all Research Institute for Fragrance Materials (RIFM) standards as diffuser oils, Scentsy Oils are not intended for ingestion or direct skin applications. Our intent is to provide an exceptional, natural fragrance experience rather than create oils for therapeutic or medicinal purposes. This decision was based on the fact that claims about an any company’s oil’s therapeutic or medicinal benefits cannot be verified by an impartial third party or government entity, and in the spirit of Authenticity, we will not make claims that can’t be independently verified. 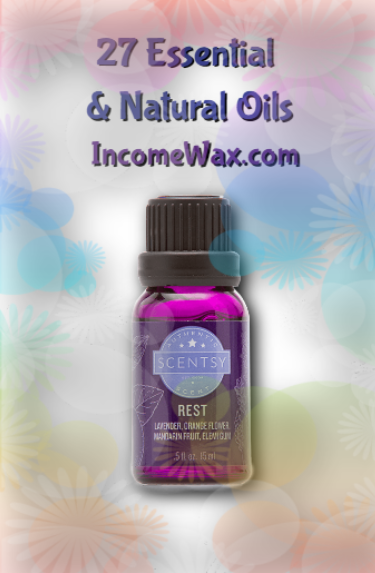 That being said, you may find the ingredients in Scentsy Oils are identical to the ingredients in oils marketed for therapeutic or medicinal use. While we will never recommend or endorse using Scentsy Oils for this purpose, using Scentsy Oils internally or topically should only be done at your own risk. Why does some of my Scentsy Oils drip faster or slower than others? See all of our incredible essential and natural oil scents and have some delivered to your door. Can Sage Boost Moods and Memory? In addition to using the herb sage in cooking, it’s also been used for thousands of years for a variety of ailments. Human studies and laboratory research have revealed that sage exhibits several important brain benefits. Sage Scentsy Essential Oil Wrap your environment in a cool and cleansing veil of salvia officinalis lamiaceae, cherished for its revitalizing properties. Be sure to also check out our high quality, fabulously unique cool mist diffusers. Forest Wildflowers Neroli and mountain sage ride a vetiver breeze. This scent is currently available as a room spray, a scents circle (hanging air freshener), and a wickless scented candle bar. 52 Shampoo, Shave and Shower Bar (like soap, but better). Restless and well-traveled, with the refreshing air of the outdoors and a splash of citrus; a spontaneous soul that can’t be tied down. Contains Bergamot, Cleary Sage and Vetiver. Additionally, as of this writing we currently have a BOGO special going on for our 3-in-1 bars if you use this special promotion link. Some say that using peppermint oil around your home can repel mice. Others say that is a myth and it doesn’t work. I can’t say definitively one way or another if using peppermint oil around your home works for keeping mice away. But my personal opinion is that if there is a chance it works, I’m using it. I have a phobia of mice. I don’t mean I don’t like them; or that they scare me. I mean on a scale of 1 – 10, ten being the worst, I have a mice phobia of about a 50. I know cognitively that it is ridiculous. Yet, it is what it is and I sold a house because of a mouse. True story. I found out there was one in the house. I called my realtor friend to tell him I wanted to sell the house and I was dead serious. Eighteen hours later he brought a perspective buyer through and less than 24 hours after the sighting I agreed to the offer. THAT’S how much I am unable to cope with mice. I also cannot share with you the research for and against whether or not peppermint oil or peppermint teabags re [Read more…] about Does Peppermint Oil Repel Mice?